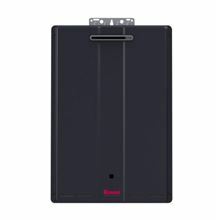 Rinnai Sensei Commercial Condensing Tankless Water Heater - Comes with 44043PR Plumbing Kit - Propane Gas - REU-REU-N3237WC-US / CU199EP-LP for Outside installations only. The Rinnai Commercial Condensing Water Heater Sensei Series offers an endless supply of hot water through multiple outlets simultaneously. With the Rinnai CU199EP LP (REU-REU-N3237WC-US) and it 199,000 Btu's at 97%, homeowners will be able to run 2+ major use at a time in colder areas and more in warmer climates. This supper high efficient water heater for commercial applications.